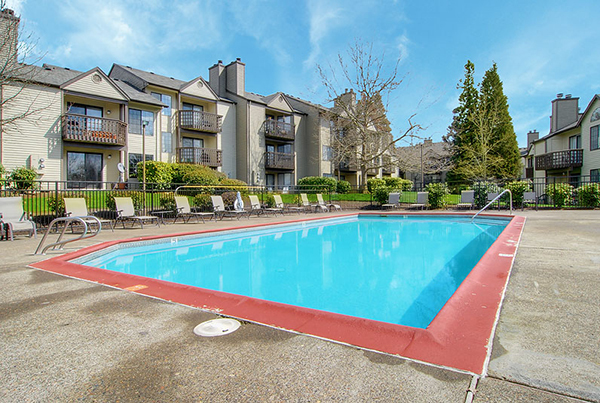 The Portfolio included three separate apartment properties in Beaverton, Oregon, totaling 302 apartment units. All the properties were built in the 1980s and considered Class B assets. Individually, none of the properties were considered institutional assets. However, selling the apartments as a portfolio caught the attention of large national buyers looking to enter the Portland metro market. Two of the properties were positively positioned with strong locations, balance unit mix and good physical conditions. The third property was inferior to the other assets in both location and physical condition. The properties were bundled in a portfolio sale to garner the best possible return for all three properties. It is rare that a portfolio of properties in one market becomes available for sale. Portfolio sales represent intensive marketing efforts. This is due to the number of properties and required analysis and due diligence. HFO maintains the in-house resources and skill necessary to manage numerous tours at multiple properties. HFO also effectively assists investors in understanding the value-add opportunity of portfolios. In this instance, HFO's relationships with private capital investors and national buyers generated the highest possible value for this transaction.